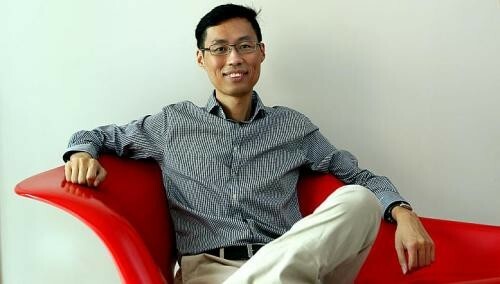 When fund manager Wong Seak Eng was applying for jobs in the investment sector, he was told by a recruiter to not "waste his time". "He said based on my background, it was unlikely I would get hired because I wasn't English-educated, didn't have a university degree and had no prior industry experience. "But it didn't bother me because I was very focused on getting what I wanted, so I didn't give up and eventually found an investment firm that believed I was a desirable candidate," said the 34-year-old Singapore permanent resident. His determination to succeed has seen him through other challenging times. He said: "Maths and accountancy were my best subjects, but when I applied to Nanyang Technological University's accountancy course, I was rejected twice. "I suspect it was because my English grades were weak. But I made the best of the situation and went back to Ipoh to work, while studying to become a chartered certified accountant." Mr Wong returned to Singapore in 2005. Subsequently, after four years as an investment analyst and portfolio manager at boutique fund management firm Yeoman Capital Management, Mr Wong left and set up Aggregate Asset Management last year with two partners. The firm manages Aggregate Value Fund, a small-cap Asia fund. The fund doesn't charge sales or management fees and employs the value investment strategy. This strategy involves investing in stocks of companies that are deemed to be undervalued by the market. The three founders, together with their friends and families, have pumped $3 million into the fund and aim to raise $20 million by the end of this year. Mr Wong's wife, Mei Lee, 34, works as an accountant and the couple have two daughters - four-year-old Hee Wuun and two-year-old Ky Yng. I'm a saver. My wife used to joke that my spending habits are bad for the economy. But now with the new firm, my wife is the main breadwinner in our family and we save about only 10 to 20 per cent of our income. Less than $2,000, with most of it spent on household expenses. My wife and I have taken out term and medical insurance policies on ourselves. Both of us pay about $70 to $80 per person per month for term policies that give us a coverage of about $500,000. The cost for term insurance is low and the coverage amount is high, so I see it as a good way to protect my family against risk. My father had his own business in Ipoh selling furniture and my mum used to help him out. I remember when I was nine years old, the business went bust and my family owed the bank money. We had to move back in with my grandmother and life was tough, with my parents having frequent fights because of our tight financial situation. I told myself that I would make sure the same thing didn't happen to me and my wife. My father eventually started a custom furniture business from my grandmother's house with my mother managing the finances and she was the one who taught me to be careful with money. When I was in secondary school, my accounting teacher would share his share investing experiences with his students during lessons. This spurred my interest and after I completed secondary school, I started reading up as much as I could about investing, particularly value investing, often spending hours in bookshops. As my interest grew, I wanted to turn this passion into a career. The only property I have is the HDB flat I live in with my family. Property is not something that suits my investment requirements at the moment. You need quite a lot of cash to buy a property and investing in it will mean having to pay off a large debt. I prefer equities because I believe that you can still make a lot of money from the stock market without having to fork out a large amount of capital. A six-year-old, second-hand $38,000 Peugeot car. We bought it in 2011 when my wife was pregnant with my second daughter. I used it to ferry my wife to and from work as travelling on public transport was quite a long and tiring journey for her. The car was in excellent condition when we bought it and there was very little mileage so I intend to drive it until its certificate of entitlement expires. Honestly, it hasn't crossed my mind yet as I am still young. I like investing and I don't think I would retire early. Some of the great investors that I know of have worked for as long as their health allowed them to. Just take Warren Buffett as an example. He is still working in Berkshire Hathaway after more than 40 years. A five-bedroom HDB flat in Chai Chee. We bought it in 2009 after viewing more than 100 homes in many parts of Singapore. The bankers were prepared to offer us a high-quantum loan back then, but we didn't want to over-stretch our finances, so we took a 20-year mortgage instead and we're aiming to pay up as soon as we can.